ASABA—DELTA State Government has urged citizens and critical stakeholders including Community Based Organisations, CBOs, community leaders’ participation in budget processes. Speaking during a one-day policy dialogue on the framework for citizens participation in Delta State budget process, the state Commissioner for Economic Planning, Mr Kingsley Emu, explained that “omnibus in budget is not miscellaneous but a provision directed at specific projects as citizens could draw from it to better their communities. 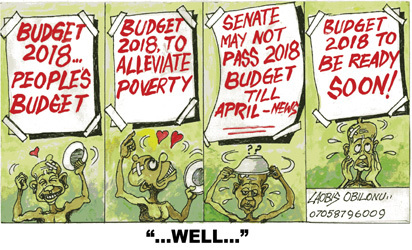 “We have decided to break it down in a simplified form for them to appreciate what we want, when they see omnibus heads, they can also know that it is part of the budget and they can draw from it. There is no way we can predict diseases that will break out in one year and therefore, the only possible way to do that in terms of planning, so to create an omnibus heads and they spenp it on outbreak of diseases. “I want to let you know that you have a say in the making of budget irrespective of whether you have a representative or not. More often than not, when you ask leaders to recommend projects, they recommend projects that will be domicile in the urban areas in the local governments and where they resides. “With what, we have just done was to take projects to the rural areas because we have more of the rural population and their requirements are minimal,” he said, charging citizens to live up to their responsibilities. The post Delta govt urges citizens to participate in budget processes appeared first on Vanguard News.